Tight on time? Stick with the 3 Key Takeaways and The Basics. These will provide your athletes with a solid foundation for understanding how to compete clean. Looking for more? Sign up below to explore the Downloads & Additional Resources, which include conversation starters and supporting materials to enrich each lesson. Many athletes are not satisfied with the results they get from their training, eating, and sleeping routines, or aren’t willing to put in the effort to get the maximum benefits from each (such as consistently going to bed early in order to get a full eight hours every night). 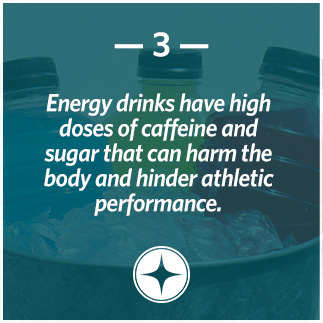 Instead of trying to improve in these three areas, many athletes choose to instead take supplements, drink energy drinks, or take performance enhancing drugs (PEDs) to make up where they are lacking or to give themselves a perceived ‘edge.’ However, each of these substances come with negative side effects and consequences that youth athletes as well as their parents and coaches should be aware of. It’s nice to think that a powder, pill, or beverage can make up for having to actually put in the time it takes to establish a proper diet, training routine, and sleep cycle. But, in the end, athletes are only successful in the long-term if they are disciplined in these three areas first. The elite-level athletes that do take supplements use them as they are intended: to supplement a proper wellness routine, and only after doing research to find a supplement that is low-risk and unlikely to harm the body. In the end, results that come from competing clean are the only ones that matter. 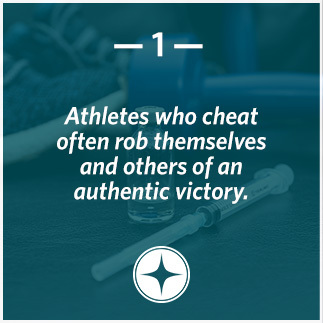 Anything else, win or lose, robs the athlete, their teammates, opponents, and coaches of a true victory and spoils the sport for everyone involved. 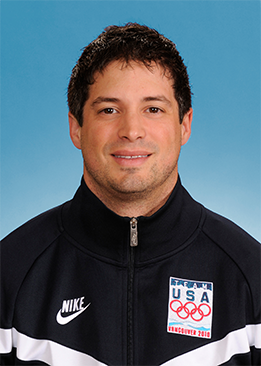 Olympic gold medalist in bobsledding, Steve Mesler, knows all about dietary supplements and how they can be harmful if not fully understood. Mesler likes to make the point that the human body has been eating and digesting food for thousands of years without the aid of supplements, meaning natural food should be the number one source for calories. 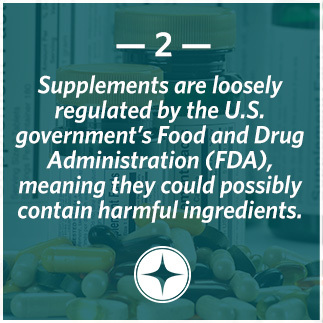 If for some reason you decide you need to take a supplement, research it first to make sure it doesn’t contain any ‘red flags’: Supplements are loosely regulated by the U.S. Food and Drug Administration (FDA) and can possibly contain harmful ingredients not listed on the label. Supplement companies also target young consumers with messages claiming their product will make them perform harder, faster, and better—but if the message sounds too good to be true, then it probably is. Mesler remembers a teammate who tested positive for steroids just before the 2002 Winter Olympics and was disqualified from competing. The result of the positive test came from a contaminated supplement. After this incident, he learned about third-party testing labs which can confirm whether what is actually in a supplement matches up with its label and about Supplement411.org, a resource helping athletes better understand and navigate the risks associated with the supplement industry. TrueSport athletes like Mesler understand the importance of being a smart consumer and always do their research before using any dietary supplement. 2. Why do you think Olympic athletes, like Steve, need to closely monitor their supplement use? 3. As a young consumer, how can you implement what you learned about dietary supplements and the companies that market them? Get your athletes thinking and talking about what clean sport means with these guided discussions. Describe these situations of high-profile athletes getting caught using PEDs and discuss with your group using the provided questions. This 10-minute quiz tests your athletes’ knowledge of the risks associated with using dietary supplements (answers included). Celebrate your groups’ completion of the clean sport lesson with this special certificate. Sign-up to receive resources on Clean Sport!